Have you been to Uzbekistan? It is a beautiful country with gorgeous people. The landscapes take one’s breath away, it’s heavenly. 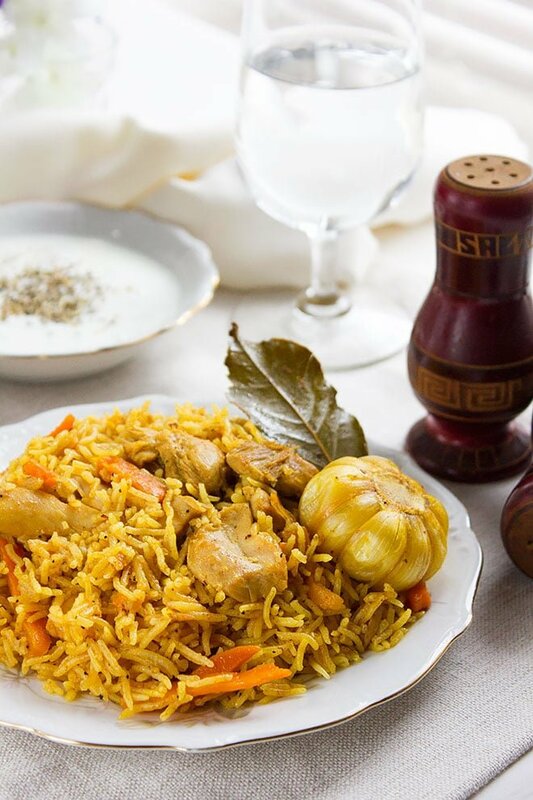 I can’t take you there but I have brought you something special from that beautiful land and it’s called Uzbek Plov. 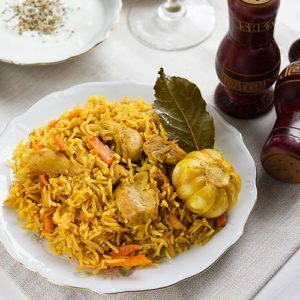 I chose this recipe for today since it is one of my favorite Uzbek dishes and I thought that you can relate to its taste. 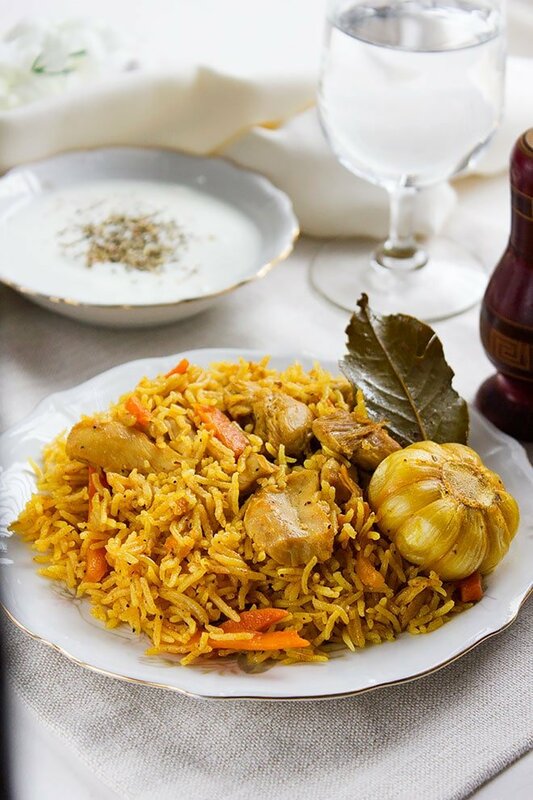 Uzbek Plov is like Chicken Pilaf in taste but is tastier. 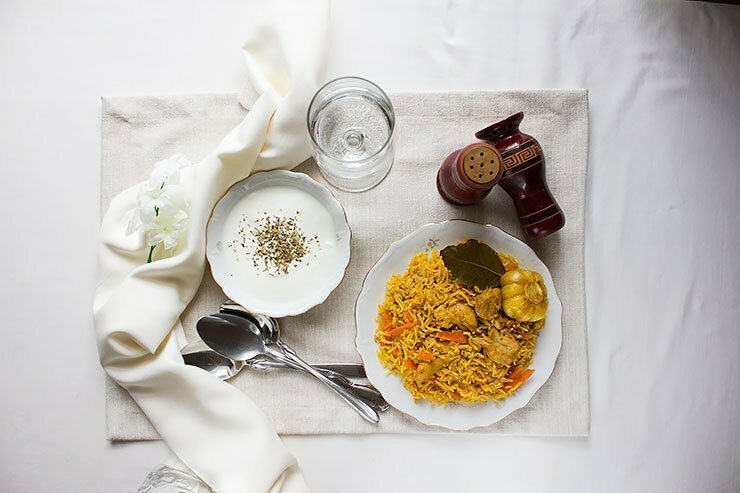 You can make this dish with chicken or red meat. 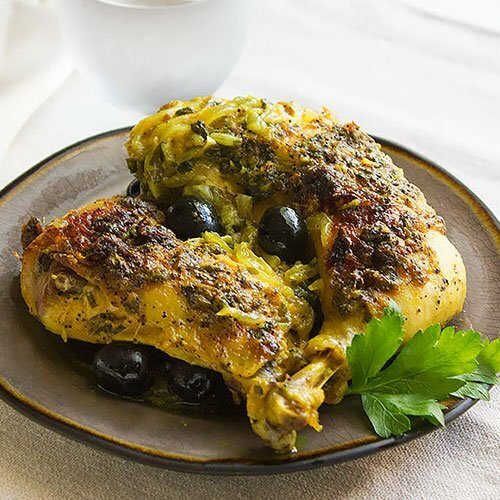 Today we will use chicken to save time I might upload the recipe again but with meat soon. The stock mixed with the spices and the chicken gives Uzbek Plov a unique flavor, and if you read the recipe you’ll notice that I’ve added a whole garlic head to the plov, believe me, unlike what you might think the garlic taste nor smell took over the dish. The cooked garlic tasted somewhat like rich creamy zucchini plus another pleasant flavor. 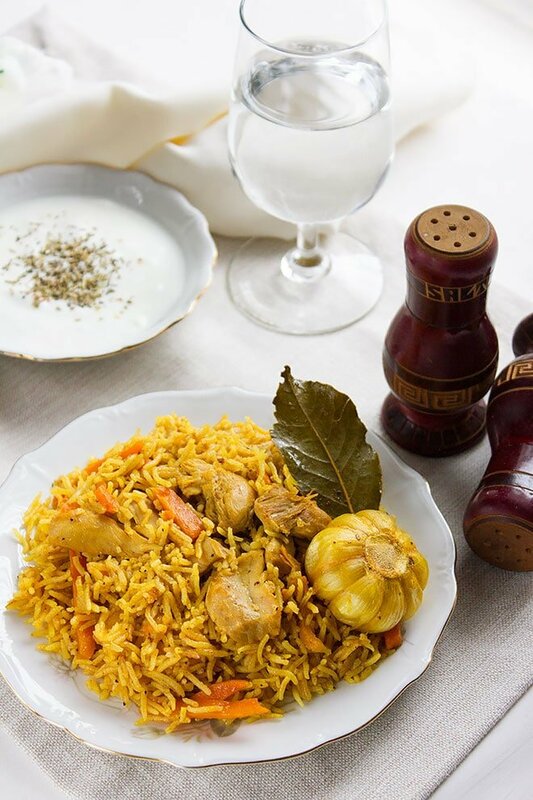 You have to try it to believe me and I hope you give this dish a try because it is really delicious and different from any other chicken and rice you had before. 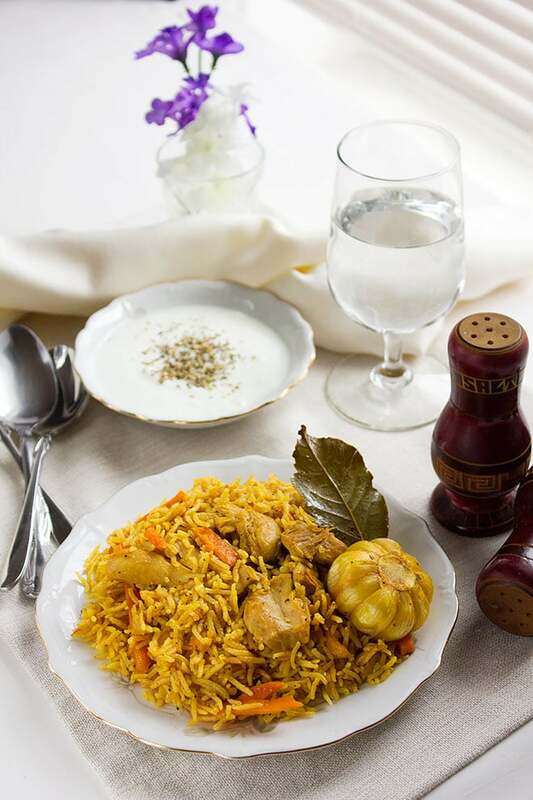 Let’s travel to Uzbekistan, through my kitchen! 3 cups warm water if cooking in regular pan. 2 ¼ cup warm water if cooking in pressure cooker. In a pan, add the oil and when hot add the onion and cook until translucent. Add the chicken and cook until the chicken is 80% done. Add the carrot and cook until the carrot is soft and the chicken is done. Add the spices, stir for two minutes. IF COOKING IN REGULAR PAN: Pour 3 cups water, add the chicken bouillon, and the garlic head. When the water comes to a boil, add the rice, let it come to a boil again. Cover tightly and cook for 15 minutes on lowest heat. Uncover, and stir the rice, cover again and cook for another 17 minutes. IF COOKING IN PRESSURE COOKER: Pour 2 ¼ cup water, add the chicken bouillon, garlic head, and rice. Cover and cook on high until you hear one whistle. Turn off heat, do not open the pressure cooker until the pressure is released naturally.